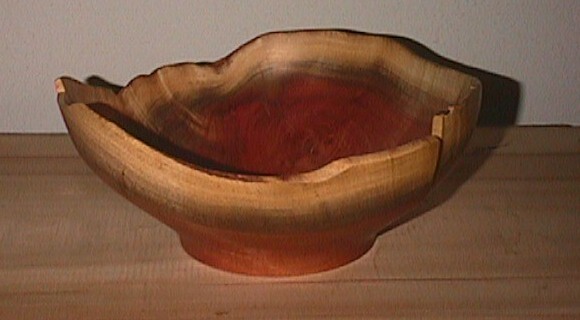 I like to turn bowls and make furniture out of slabs of wood. Here is a sampling of my work. Look for more and better quality pictures in the future! 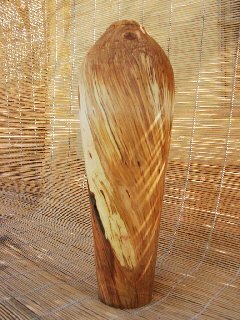 This vase is turned from an almond branch. 17.5" tall, 6" diameter. Amazing spiral grain, nice starburst pattern if you cut across the endgrain. 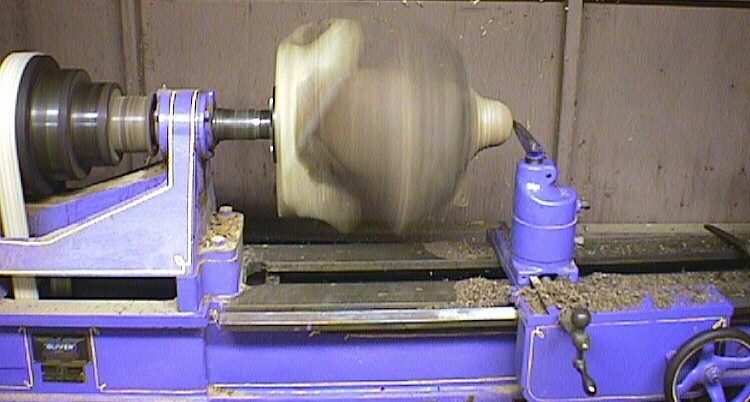 The sawdust was orange. More new work here. Below you will find old work. 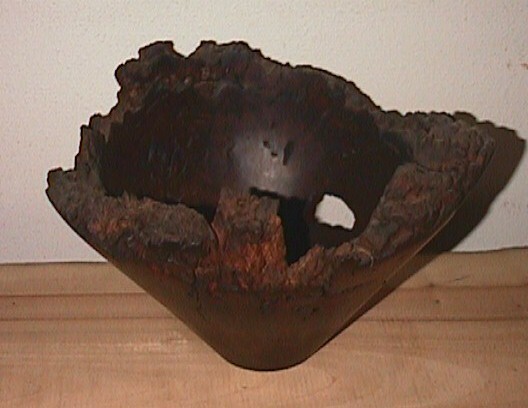 This was my first "perfect" hollow vessel (according to me). Quite a gem, no? Click here to see shelves full of bowls, or scroll down to see close ups. 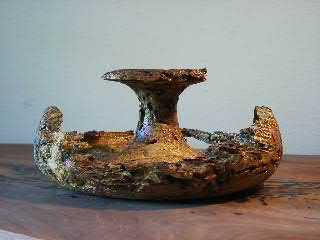 Above: two views of my first multi-axis vessel, and below, two views of my multi-axis vessel "bowl with 5 centers" in progress. 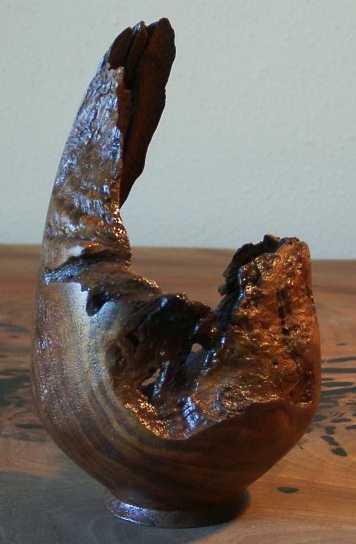 A big piece of rotten oak, 32" dia. 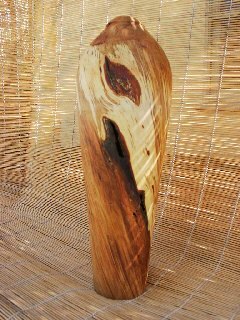 A bigger piece of rotten oak, 44" dia. 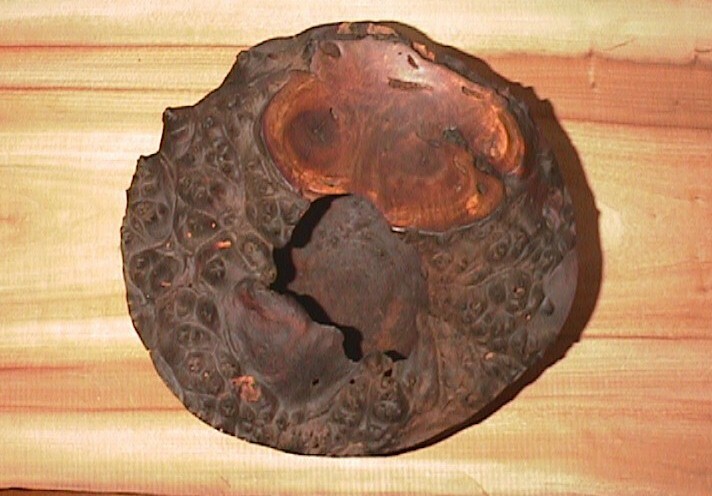 Yet another walnut burl piece. 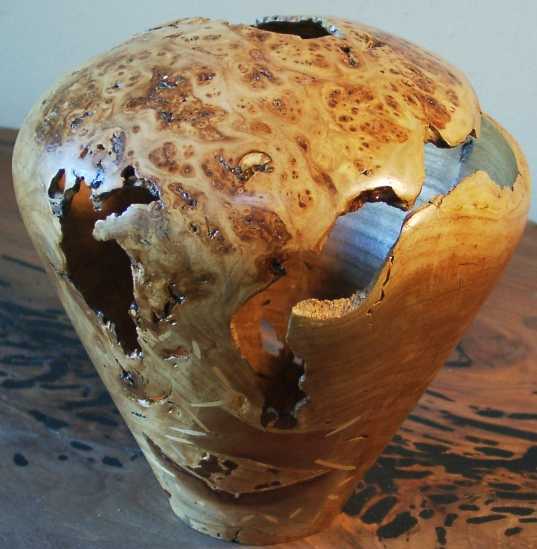 Elm burl Frankenstein hollow form. 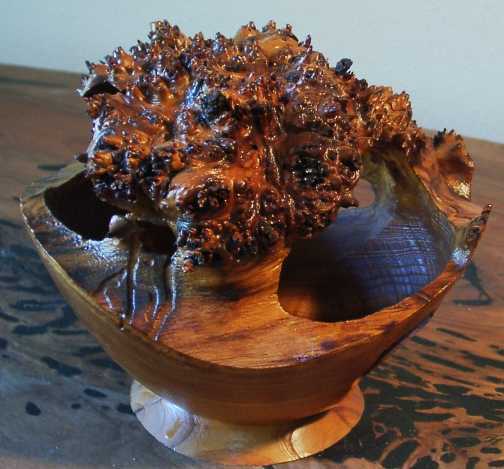 10"x9"
Elm burl son of Frankenstein. 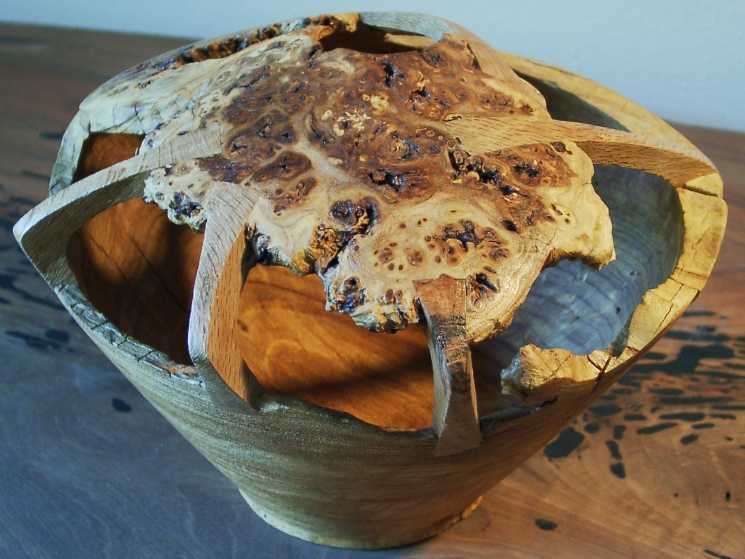 8"x11"
Elm burl...with no hole in the middle! 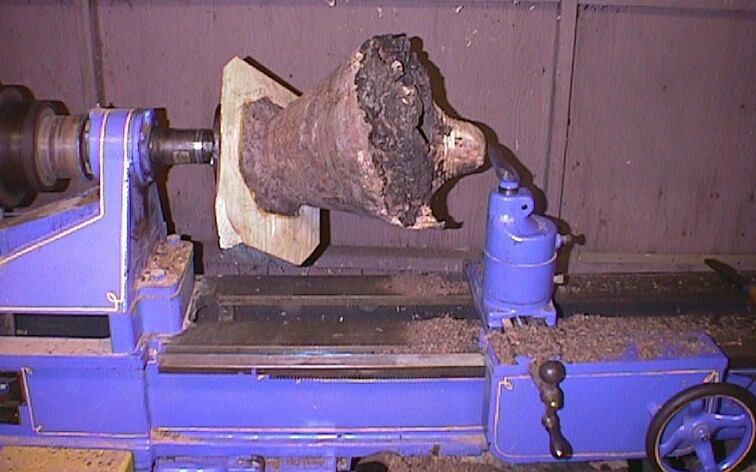 Another piece of rotten oak. 24" dia x 8" deep. 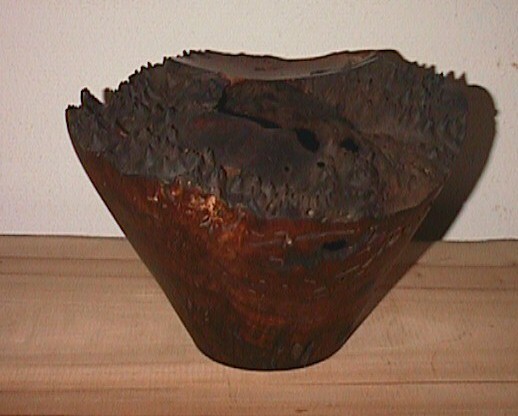 A natural edge carob bowl, with bisected twigs for mom. 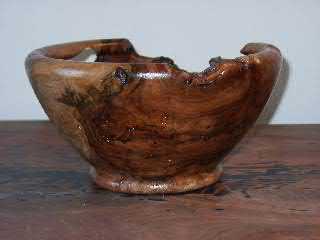 A nice carob natural edge bowl. 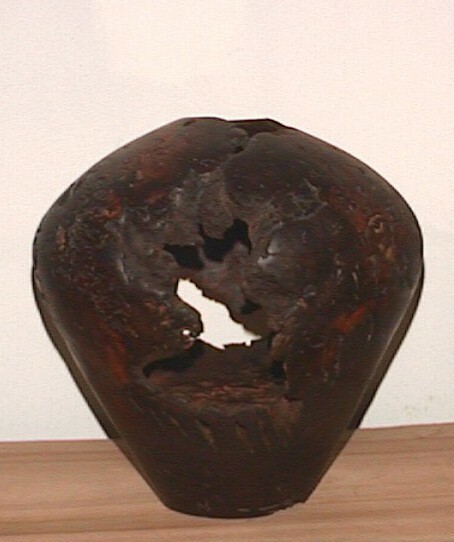 A vase made of carob.